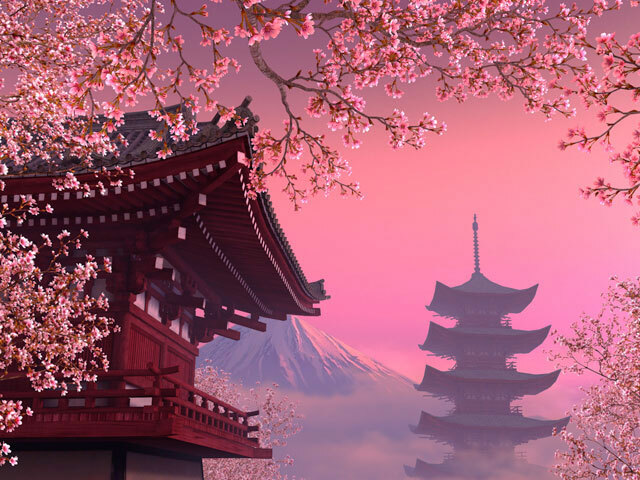 ﻿ Blooming Sakura 3D Screensaver – Visit the distant Japanese islands and contemplate the beauty of the blossoming Sakura. You do not have to be a big fan of the Japanese culture in order not to appreciate the beauty of the time when the cherry is blossoming. However, this period is said to be a national celebration in Japan which is called Hanami. It originates from the ancient times that the beginning of spring is identified with the appearance of the pinky-white inflorescences on the cherries, whilst the Sakura flowers symbolize the beauty of the local women and are reputed alongside the Fuji mountain. If you come to the Land of the Rising Sun for the 10 days that lasts this celebration, you will be amazed by how reverently every Japanese treats the festival. Nevertheless, the abundance of the cherry trees during the time of blooming actually represents an impressive event which can only be seen here. 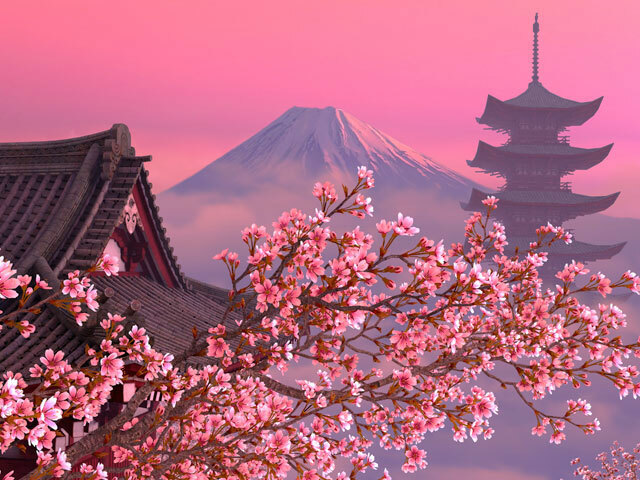 By installing the Blooming Sakura moving 3D screensaver to your PC you will have the opportunity to make familiar with the both of listed above symbols of Japan - the blossoming Sakura with a typical Japanese house in the background and the famous Fuji mountain with the sounds of a national melody. Someone can object that it is possible to admire the color of a cherry tree everywhere and he will be only partly right. Of course, if you have in mind a cherry garden of considerable sizes, then no one prevents you from enjoying the beauty of the blossoming flowers at your home. But this ceremony is celebrated nationwide in Japan because Hanami is said to be opened officially only after the Imperial family goes for a walk with the aim of admiring the Sakura color. 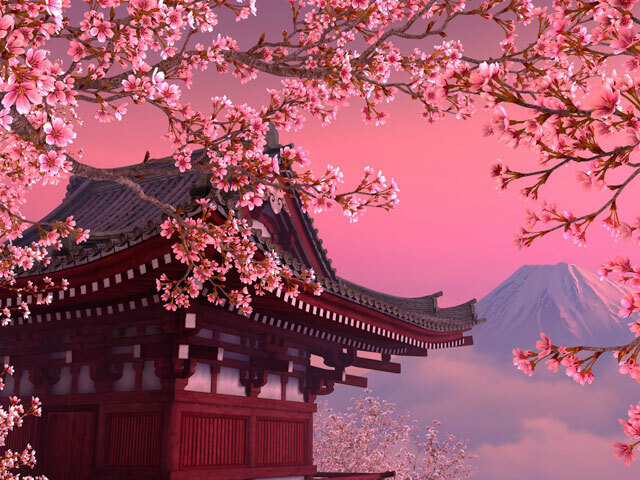 In any case, the Blooming Sakura screensaver for Windows 8 will not impose on you the values of the oriental philosophy, force you to make a Hokka or to take your place under a cherry tree and wait for the beginning of the celebration. All that is asked from you is to simply relax and enjoy the contemplation of the abundance of pinky-white clouds of blossoming Japanese cherries.